In the video Sky Ferreira performing Everything Is Embarrassing. 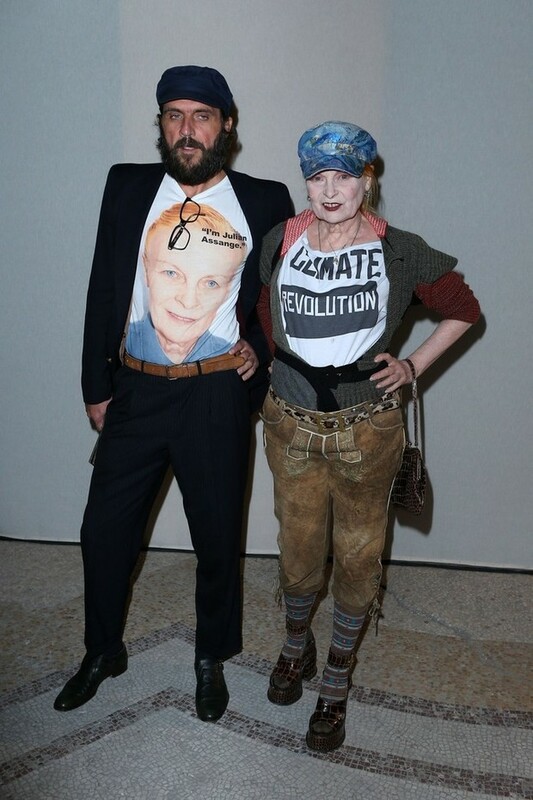 In the photo Vivienne Westwood and Andreas Kronthaler hotographed while attending the Yves Saint Laurent Spring-Summer 2013 Ready-To-Wear collection show, Paris Fashion Week, 2 October 2012, Paris, France. Source PacificCoastNews.com. Photo caption from Anthropology Today, Lecture to the American Anthropological Association , Feb. 1992, by Eric J Hobsbawm (1917-2012) . Title by Mascotes.